WE DELIVER EVERYTHING INBETWEEN UNTREATED MATERIAL AS CAST TO FINISHED MACHINED, TESTED, ASSEMBLED AND THIRD PARTY CLASSIFIED. BEFORE PRODUCTIONSTART YOUR PRODUCT IS PREPARED AND PROCESSES ARE ESTABLISHED THROUGH CASTINGS SIMULATIONS, CALCULATIONS COMBINED WITH EXPERIENCE. THE BASE OF OUR PRODUCTION IS HANDMADE SANDMOULDS, WE COMBINE THE HANDICRAFT WITH THE LATEST TECHNOLOGY LIKE 3D PRINTED MOULDS AND CORES. CORES ARE BASICALLY HOLES IN THE FINISHED PRODUCT. MORE SPECIFIC IT ISTHAT PART OF THE SANDMOULD THAT FORMES THE INSIDE OF THE PART, MAKES THE HOLE OR OTHER FUNCTIONS IN THE PRODUCT THAT CANT BE INCLUDED IN THE OTHER PARTS OF THE MOULD. 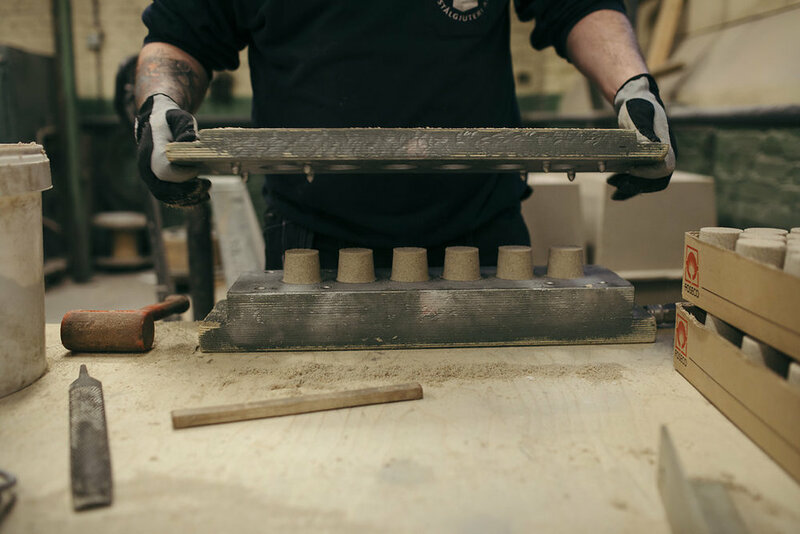 WHEN WE FORM THE MOULD WE MAKE THE PART OF THE SANDMOULD THAT FORMS THE OUTSIDE OF THE PART. 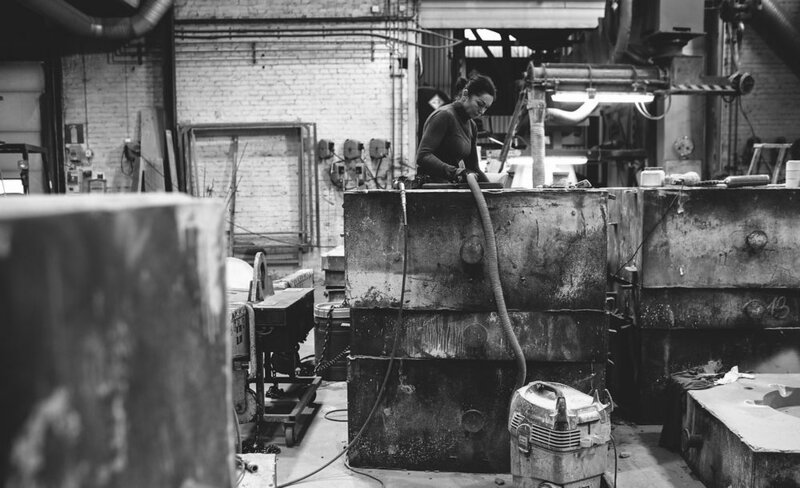 WE PRODUCE OUR MOULDS IN TWO LINES, ONE FOR THE SMALLER AND ONE LINE FOR THE LARGER MOULDS. MELT CAPACITY OF 3 500KG OF STEEL PER PIECE. IN THE FETTLING SHOP WE COMPELTE THE CASTINGS. GRIND, WELD, HEAT TREAT, PERFORM NON DESTRUCTIVE TESTING AND PREPARE IT FOR EITHER DELIVERY TO THE CUSTOMER OR FURTHER WORK SUCH AS MACHINING, TURNING, MILLING, BORING.